Spider leg shaped stabilisers offer two advantages. First off all a spiderlift’s spider type stabilisers provide a large and stable setup base, whilst still being capable to fold up small and keep the tracked access platform narrrow. 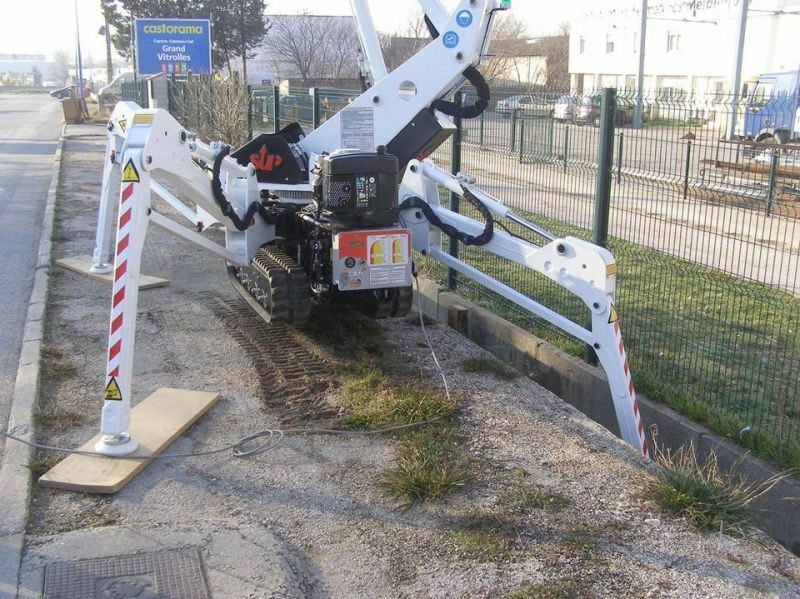 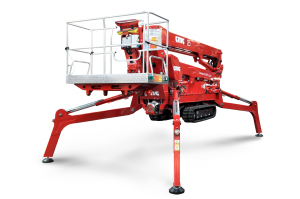 Furthermore, the tracked aerial spider lift can lift it’s chassis to a great height using these spider ‘legs’, giving tremendous levelling ability on uneven and sloping terrain. 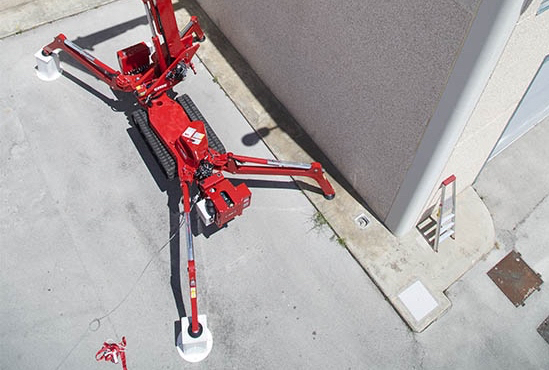 Finally, the ability to set the stabilisers at different width positions, makes the spiderlift versatile to setup in many difficult positions where width is at a premium, or when obstacles on the ground are in the way.